Who is body reprogramming for? Some patients have multiple symptoms, for example, widespread pain, fatigue, mental fog, stomach problems, poor sleep, and sensitivity to bright lights and noise. Often, when they seek help from a doctor they are not provided with a clear explanation for their symptoms. Some patients are given a diagnosis such as central sensitivity syndrome, or medical unexplained symptoms or fibromyalgia. Other patients have multiple diagnoses, for example, fibromyalgia with irritable bowel syndrome. These diagnoses can be confusing and often raise more questions than answers. Patients will often say that their doctor seems to know as little about the condition as they themselves. Body reprogramming is for those patients with a long term condition, such as central sensitivity syndrome or fibromyalgia and are seeking to understand this condition better. Body reprogramming is a course provided by the NHS which is designed to help people with a central sensitivity syndrome, such as, fibromyalgia. It provides an understanding of the condition and how best to manage it to improve health. Body reprogramming comes from a new way of thinking about the body, called ‘the Hyland model’. The model is based on the founding principles of systems biology and complexity theory and where the body is understood as a biologically intelligent system. An exciting feature is that that over 50 patients with central sensitivity syndrome and fibromyalgia have helped bring the conceptual model to life in the form of a body reprogramming course. In Plymouth, a body reprogramming course has been developed and may be available through your doctor. Other regions on the UK are considering starting body reprogramming courses. 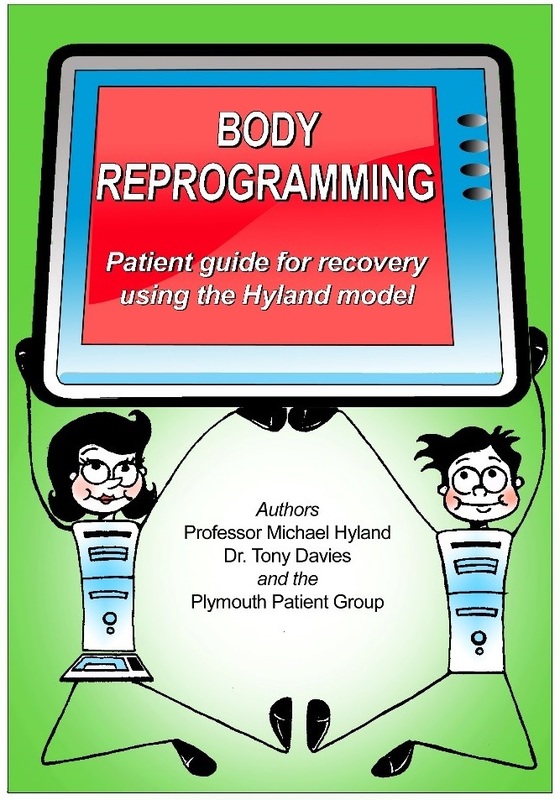 Body reprogramming is a new intervention provided by Plymouth Hospitals NHS Trust in association with the University of Plymouth. patient feedback has been very positive to date and the course continues to be developed with help from patients. This website will be updated as more information is gathered.